Chuchel sets out to make us laugh — no easy task in a video game — and delivers in spades. Only the dourest soul could fail to crack a smile at its silly antics. The humor is a mix of anti-establishment surrealism, vaudeville slapstick, video game in-jokes and Hanna-Barbera cartoons. Charlie Chaplin or Laurel and Hardy would have enjoyed the knockabout of its starring hairball in pursuit of a cherry. 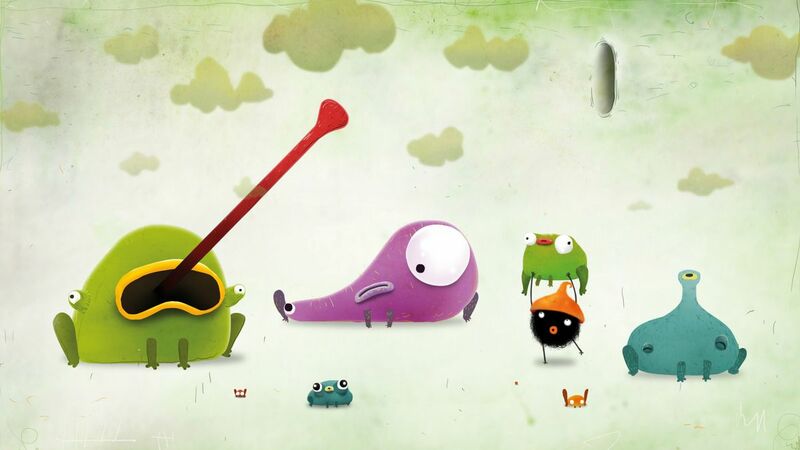 But Chuchel, from Machinarium developer Amanita Design, is a puzzle game that glows with a modern, Pixar-ish savvy. The central gag is that the hairball is an idiot, while its hedgehog rival is also an idiot, though less so. In 30 scenarios, they are tested by a gorgeous cast of grotesques. Alien blobs, dinosaurs, bathroom utensils and a giant’s colonic tract are among the foils and torments. Each level launches into a series of psychedelic gags, fit to delight. The jokes are perfectly content to revel in first-grade toilet mirth one moment, while drifting into gallows humor the next. Our hero stumbles through a chocolate-box selection of point-and-click logic puzzles that provide ample excuse for these types of jokes. Some of the puzzles are little more than clicking on a button, over and over again; others are more challenging, requiring a little imagination. But if you get stuck, the help buttons are more than generous. Even though the puzzles are simple and the interactions basic, I don’t think this little piece of fun would work in the same way were it a static cartoon. Chuchel is a true universe, one that comes alive in bursts. This could not be done quite so well on TV or in a movie. Each little story is an entire world of the absurd, a disaster-in-waiting, represented by magnificent specimens of monsterdom. My favorite characters include a chuckling, mean-spirited blancmange, a giant cherry made of hats and a bluegrass-lovin’ molar that thinks it’s a bull. Wordy explanations don’t do these beautifully animated mutants the justice they deserve. They are creations of color, sound and humor, balanced with care and attention. Chuchel is out now on Mac and Windows PC. 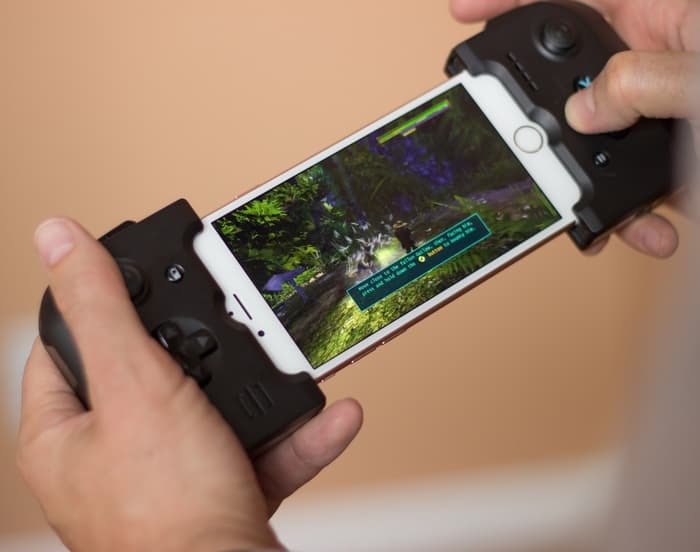 I recommend the game (I think it would be fun to play in a group), but I also hope it gets the attention it deserves when it arrives on more widespread devices, like iOS and Android, coming in the weeks ahead. Anyway, if you’re still not convinced, these animated GIFs offer a little of the game’s sense of humor.